The best way to see all of Turkey! This type of vacations are worry-free. You travel with a group of people, led by an expert guide of the area who fills your imagination with details of the cities and countries you visit. The only city in the world that stands astride two continents, Europe and Asia, Istanbul embraces both the ancient and modern worlds. Its skyline is a sparkling stretch of palaces, mosques, and minarets, but also of skyscrapers and nightclubs rivaling London`s. 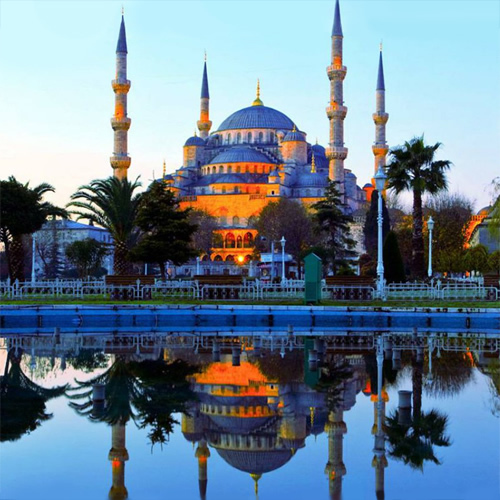 The largest city in Turkey and one of the most populous in the world, Istanbul was once the capital of the Byzantine Empire, and later the Ottoman Empire. 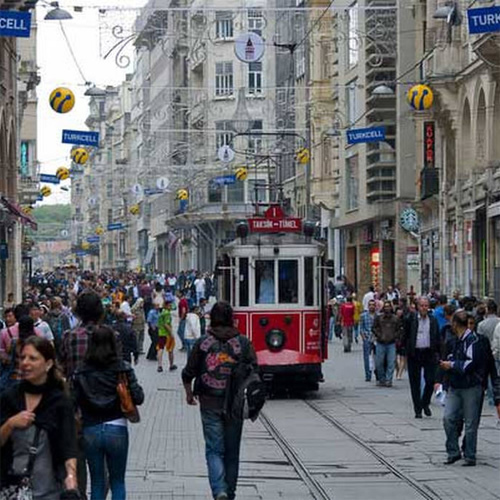 Today it is the epicenter of Turkish culture and commerce. Much of Istanbul`s charm lies in the area called the Historic Peninsula, south of the Golden Horn and north of the Sea of Marmara. This peninsula, which is home to such sights as Topkapi Palace and the Hagia Sophia, is recognized as a World Heritage Site by UNESCO. 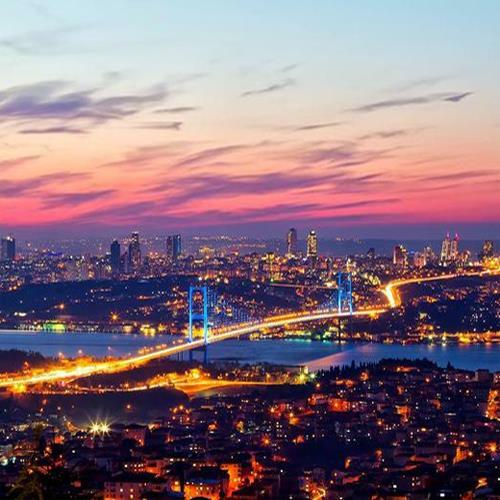 Istanbul is not just a living museum, but a vibrant and cosmopolitan city. Istanbul is one of the truly great romantic cities; home to a layering of civilization on civilization, of empire built on empire. 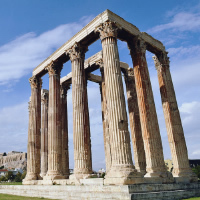 A stroll through this historic city will reveal ancient Roman hippodromes, peristyles, and aqueducts, the greatest excesses of the Byzantine Empire and the mystique and power of the Ottoman Empire. In this sprawling, continent-spanning city you can tramp the streets where crusaders and janissaries once marched; admire mosques that are the most sublime architectural expressions of Islamic piety; peer into the sultan's harem; and hunt for bargains in the Kapali Çarsi. We recommend 6 nights in this fascinating city to enjoy its full scope! Must See`s include: Hagia Sofya,Topkapi Palace, Dolmabahce Palace, the Blue Mosque, the Grand Bazaar and the Egyptian Spice Bazaar, Suleymaniye Camii, St. Savior in Chora, the New Mosque, Galata Tower, Taksim Square, the Hippodrome and so much more! 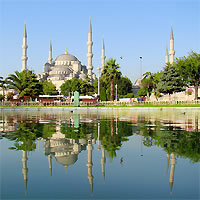 Discover the bustling bazaars, stunning landscapes, and fascinating history of fabulous Turkey! Visit Istanbul (a city straddling rich history and modern cosmopolitan scene); Ankara (the capital of the country and an important cultural and commercial center); Cappadocia; Pamukkale (with entrancing natural beauty and unique geological formations); Kusadasi (with broad sandy beaches and turquoise water); Pergamum; the ancient site of Troy (the infamous, historic Trojan Horse); Canakkale; Dardanelles and Gallipoli all in the comfort of a deluxe motorcoach under the guidance of a licensed tour guide. 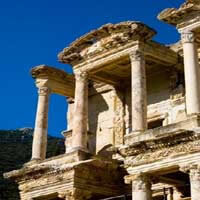 Enjoy the Classics of Turkey, staying at Superior and Moderate rated First Class hotels. Discover bustling bazaars, stunning landscapes, and fascinating history. 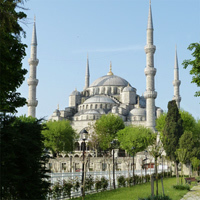 Visit Istanbul (a city straddling rich history and modern cosmopolitan scene); Ankara (the capital of the country and an important cultural and commercial center); Cappadocia; Pamukkale (with entrancing natural beauty and unique geological formations); Kusadasi (with broad sandy beaches and turquoise water); Pergamum; the ancient site of Troy (the infamous, historic Trojan Horse); Canakkale; Dardanelles and Gallipoli all in the comfort of a deluxe motorcoach under the guidance of a licensed tour guide. Optional tours and dinners give you the opportunity to customize your experience without paying for more than you want to enjoy!